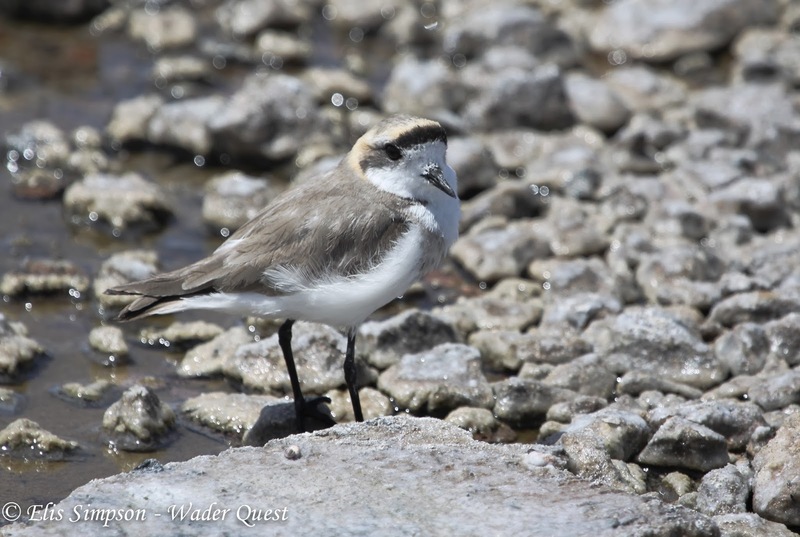 Wader Quest: Endemic charadrius plovers of the Neotropics. 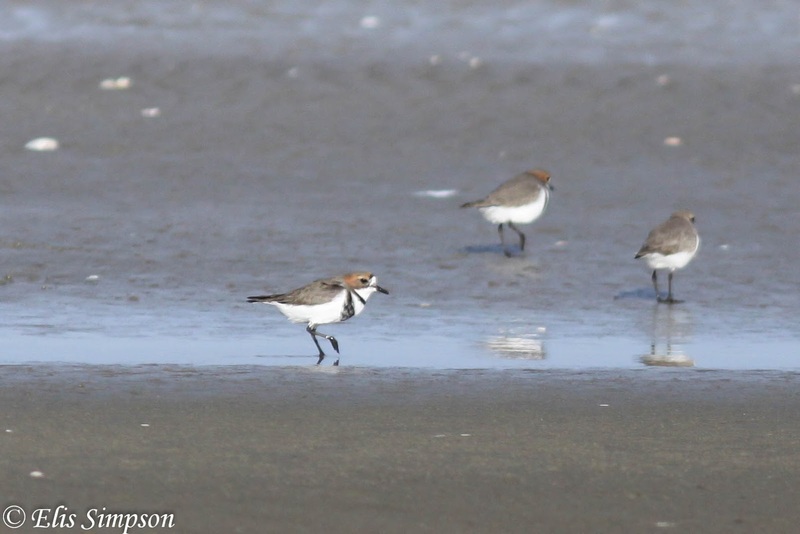 Endemic charadrius plovers of the Neotropics. 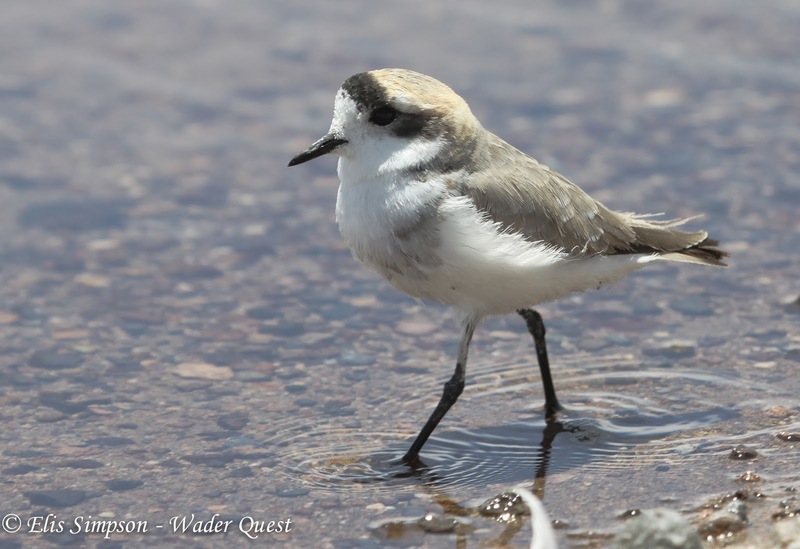 There is no doubt that the sight of a plover running around on a shoreline is one of the definitive images of wader watching. These classic little birds with their dumpy outline and characteristic feeding action are much beloved of wader watchers everywhere. 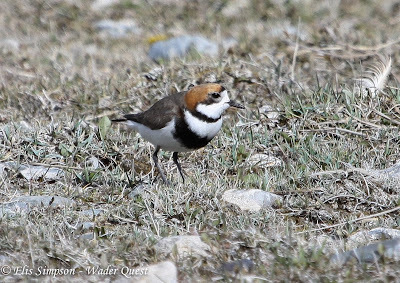 I think it would be hard for anyone to decide on a favourite, after all, many of them look much the same, but wherever you go in the world there is sure to be a plover to keep you smiling. Here's a collection of little stunners from the Neotropics, all of them endimic. 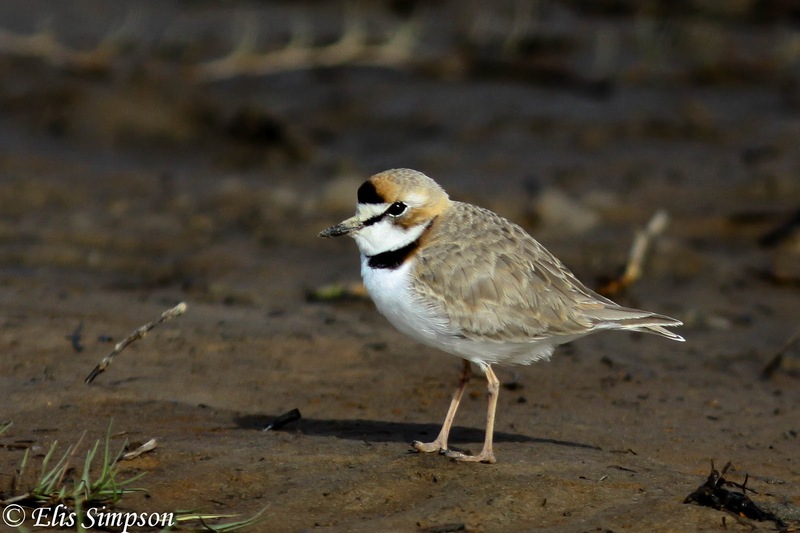 The Collared Plover is a relatively widespread species east of the Andes and up into central America. It can be found near many kinds of water body from seaside beaches to inland waterways and lakes. It tends not to be very numerous but outside the breeding season, although being seen mainly as singletons or in pairs they will sometimes form small loose flocks. Adult Collared Plover Charadrius collaris: Tavares, Rio Grande do Sul, Brazil. They are largely sedentary but some seasonal movement does occur. For example our experience with the species in Ubatuba on the coast of São Paulo, Brazil, was that they occurred only in the Austral winter although our first was further south, still in São Paulo, at Ilha Comprida in December. We have only seen this species in Brazil and Uruguay and during Wader Quest we saw them only in Brazil in Ubatuba. 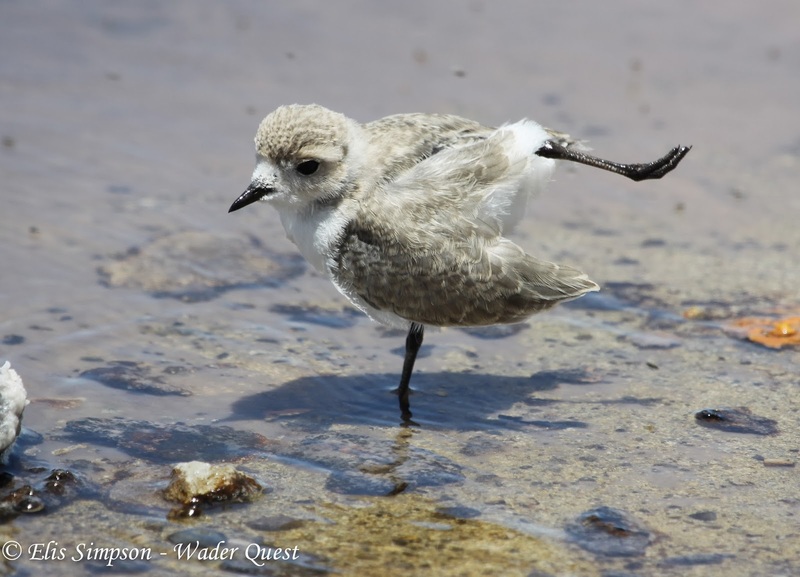 Fledgling Collared Plover; Tavares, Rio Grande do Sul, Brazil. Adult Collared Plover; Ubatuba, São Paulo, Brazil. At the bottom of the world during the Austral Summer, the Two-banded Plover is easy to find near most coastal lakes, marshes or sea shores. They do not venture far inland. Some adults, like the one in the photo below, show a complete upper breast band, while some others have a boken one with small darts of black at the sides of the upper breast. Adult male Two-banded Plover Charadrius falklandicus; Laguna de los Patos, Punta Arenas, Chile. It is not a long distance migrant but will move north along the South American coasts as far as southern Brazil on the Atlantic coast and Northern Chile on the Pacific coast vacating its breeding grounds almost entirely. In the non-breeding season they can form quite large aggregations at estuaries and coastal habitats. 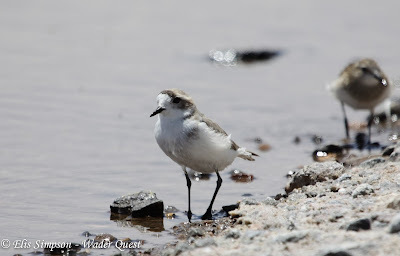 Adult female Two-banded Plover; Laguna de los Patos, Punta Arenas, Chile. 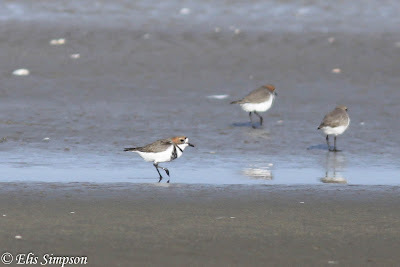 We have only seen Two-banded Plovers in Brazil, where we first encountered them in Rio Grande do Sul, and Chile, where we saw them on their breeding territories around Punta Arenas and Tierra del Fuego. 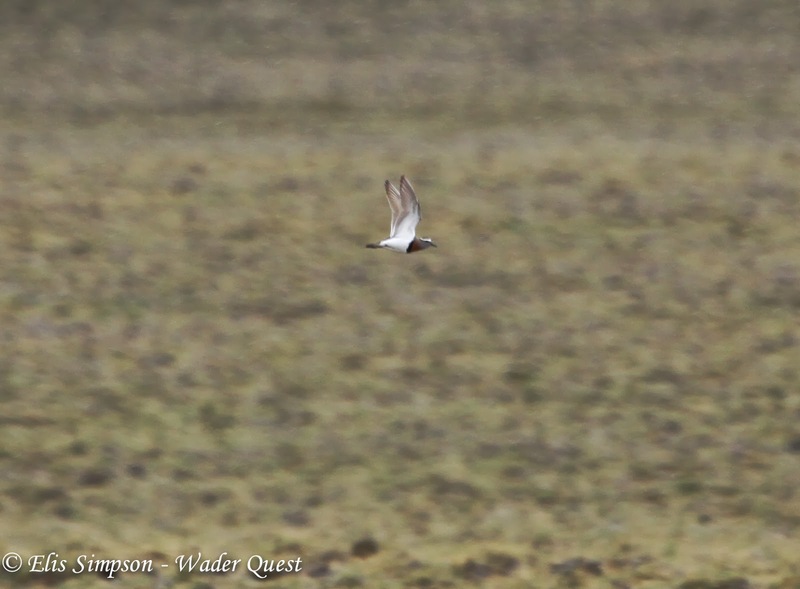 The latter being our encounter with them for Wader Quest. Two-banded Plovers; Tavares, Rio Grande do Sul, Brazil. 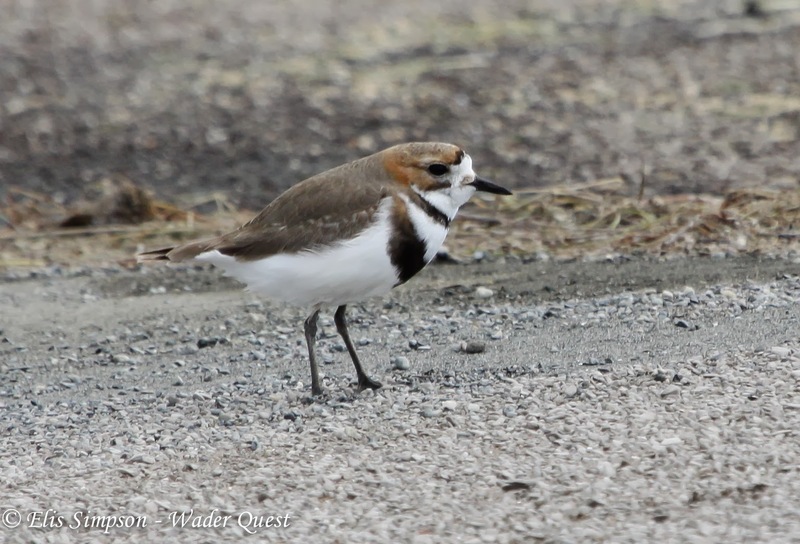 Two-banded Plover; Laguna de los Patos, Punta Arenas, Chile. From the bottom of the world to the top of a mountain. The next species is the Puna Plover which, as its name implies, is denizen of high Andes Puna region where it can be found near salt lakes. Adult, possibly female, Puna Plover Charadrius alticola; Laguna Chaxa, San Pedro de Atacama, Chile. Although these birds are regarded as sedentary for the most part, in winter some quite large groups of them have been found at sea level along the coast in southern Peru. Puna Plover chick stretching its leg; Laguna Chaxa, San Pedro de Atacama, Chile. 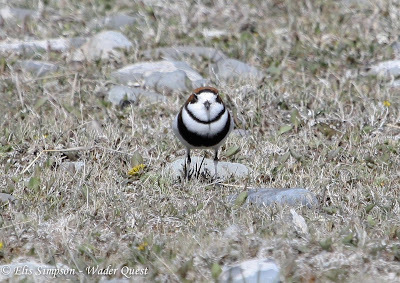 Our only experience with these birds was in Chile where we saw them relatively easily at Laguna Chaxa, San Pedro de Atacama; unless of course you count dipping on them in Peru earlier in the year an experience I'd sooner forget. Puna Plover; Laguna Chaxa, San Pedro de Atacama, Chile. 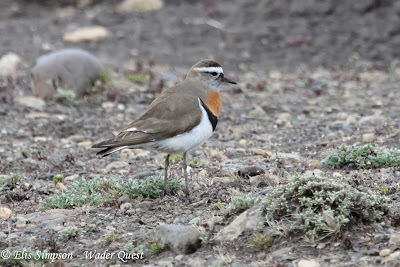 The last of the Charadrius plovers endemic to South America is Rufous-chested Dotterel which is quite different to the others previously mentioned in terms of plumage and it is also quite a bit bigger. Despite this there is little thought for moving it elsewhere taxonomically although its generic name was Zonibyx originally when it was descibed by Lichtenstein in 1823. 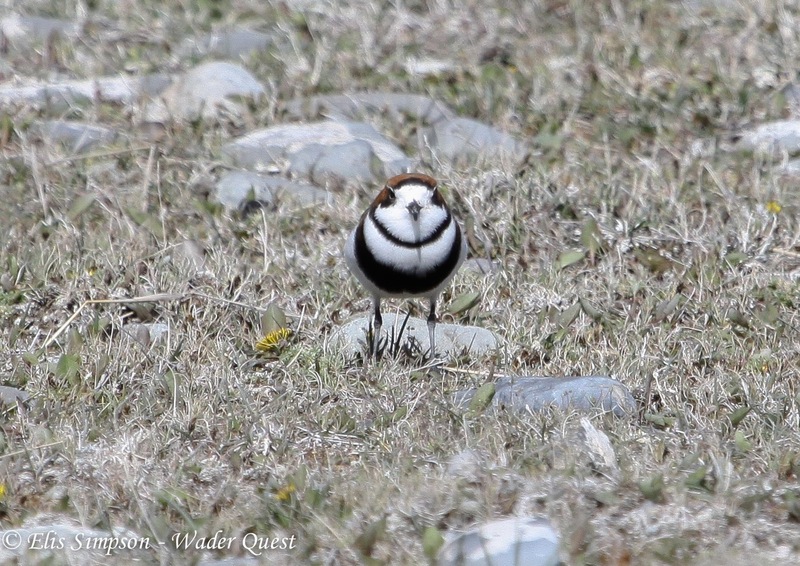 A migratory species that breeds in the far south of South America but winters across much of the southern cone, especially towards the coastal regions, we first came across this bird in its drab non-breeding plumage in southern Brazil. Rufous-chested Dotterel Charadrius modestus; Tavares, Rio Grande do Sul. In 2012 Elis found the most northerly documented record of the species along the eastern seaboard of South America when we came across one in Paraty, Rio de Janeiro, Brazil. Rufous-chested Dotterel; Paraty, Rio de Janeiro, Brazil. 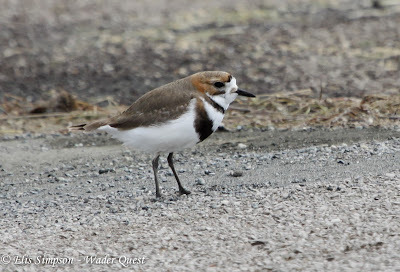 For Wader Quest we headed to the breeding grounds to see this bird for the first time in all its finery, it is a stunning bird in breeding plumage. 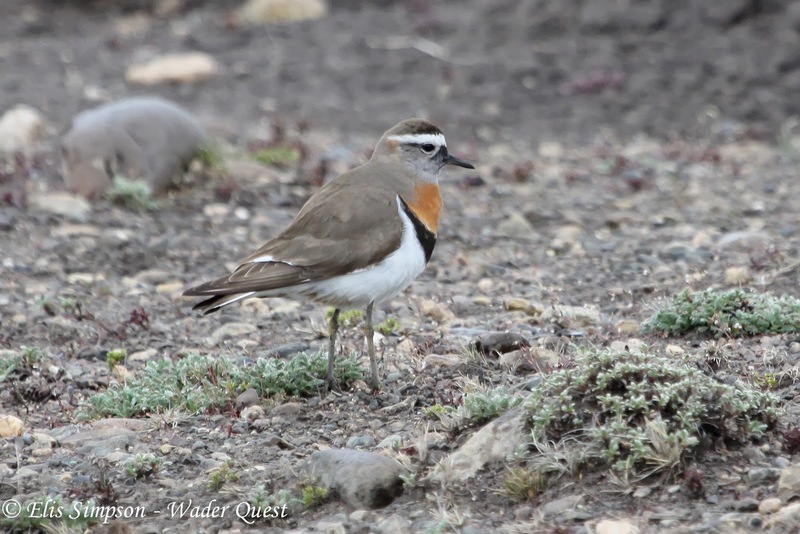 Rufous-chested Dotterel in breeding plumage; Punta Arenas, Chile. 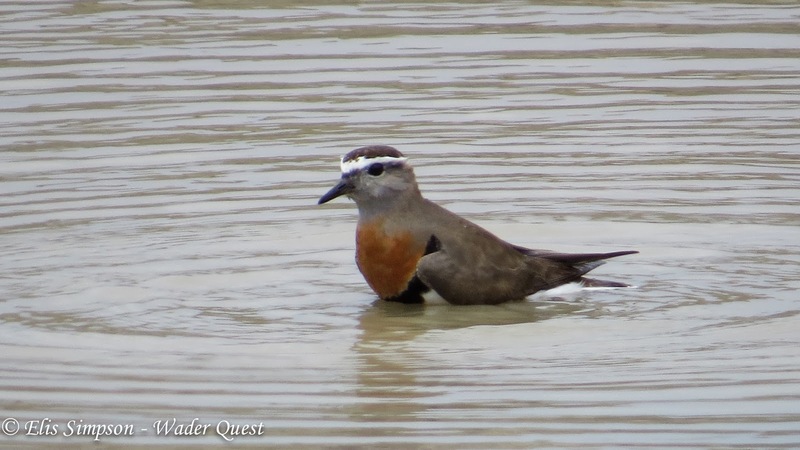 Rufous-chested Dotterel bathing; Punta Arenas, Chile. 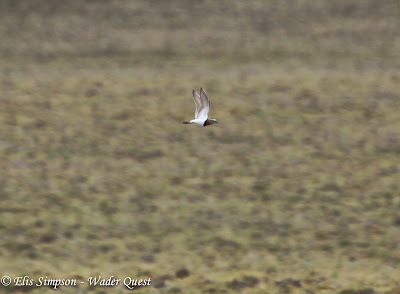 and displaying over the grassy expanses of southern Chile. Displaying Rufous-chested Dotterel; Punta Arenas, Chile.